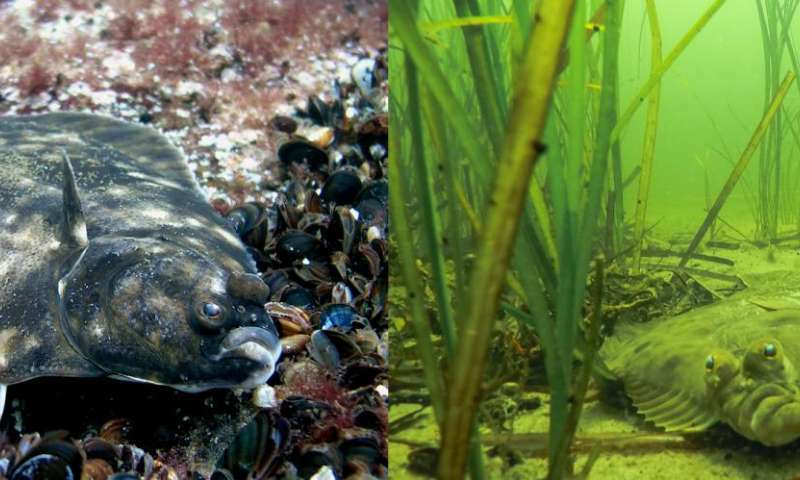 Flounders with different spawning behaviors are two species with distinct evolutionary histories. Credit: left: Mats Westerbom. right: Alf Norkko. How important is geographical isolation in speciation? Again, and evident cheat to try to "validate' "evolution". The claim that the two flounders constitute two different species. To be sure, they likely do mate in different areas, have eggs that thrive under different conditions, but that could be a case of two genetic predispositions, like what are termed "phases", in the one population. If sperm from one group of fish were placed into eggs from the other "phase", whether they produce sexually viable offspring will indicate if they are separate species or not. Frankly, if they are all still flounder, they are technically all the same. RE: Evo-Devo differentiation of speciation process: The new standard tests of a hypothesis!? I think Julianpenrod is absolutely right: A cross fertilization experimental studies shall be the new standard of testing the differences and origins of any evolutionary or developmental coincidences that may have occurred between the 2 suspected species, especially at their germline levels. Best, Mong 6/1/17usct00:42; practical public science-philosophy critic (since 2006).